Thomas E. Buser was born in Coral Gables, Florida, on March 24, 1955. He received his B.A. degree from the University of Florida and obtained his law degree in 1982 from South Texas College of Law. After graduating from law school, he became an associate with Krupnick & Campbell. Following several years of hard work and outstanding results, Tom became a partner in 1988. In 1992, the firm name changed to Krupnick Campbell Malone Roselli Buser & Slama. Tom has been a board-certified in Civil Trial Law by The Florida Bar since 1992 and has consistently been AV rated by the Martindale-Hubbell Law Directory, which is the highest rating given by this publication. He is a member of The Florida Bar, the Palm Beach County Bar Association, and the Broward County Bar Association. 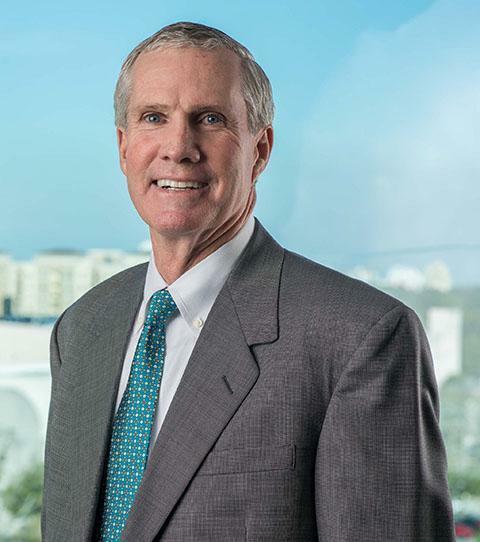 He has served on the Legal Ethics Committee of the Broward County Bar Association, and is a past president of the Broward County Trial Lawyers' Association. He has been that organization's Secretary, Treasurer, Vice-President, case evaluation monitor, and newsletter editor. He is a member of the Association of Trial Lawyers of America, the Academy of Florida Trial Lawyers, the American Board of Trial Advocates and is a Founding Fellow of the Southern Trial Lawyers Association. He has also chaired and served on several committees of the Academy of Florida Trial Lawyers and has been a lecturer at trial-lawyer seminars.